It's World War I, and Aidan Jackson (known as Jack) leaves his parents' farm to become a soldier and fight overseas. With him, goes his shiny brass bugle, his most precious possession. After enlisting in the Australian Imperial Force, Jack is sent to a camp with the other new recruits for training. There, he meets Spencer Harrington (known as Harry), and the two become best mates. Soon they ship out together to Egypt for more training, this time in the desert. And four short months later, on 25 April 1915, they find themselves about to land at Gallipoli. As ANZAC Day approaches, this book is a timely reminder of the reality of war and what our soldiers faced. Krista Bell's text tells the story simply but vividly. She writes of a 'narrow beach littered with bodies' and tells of the 'Confusion. Noise, bullets, sand, rocks, smoke, death.' We feel Harry's heartbreak when he finds Jack's bugle … but no sign of Jack. But Krista Bell also offers optimism, reminding us of the ultimate peace these men were fighting for, and the future they ensured for the generations to come. 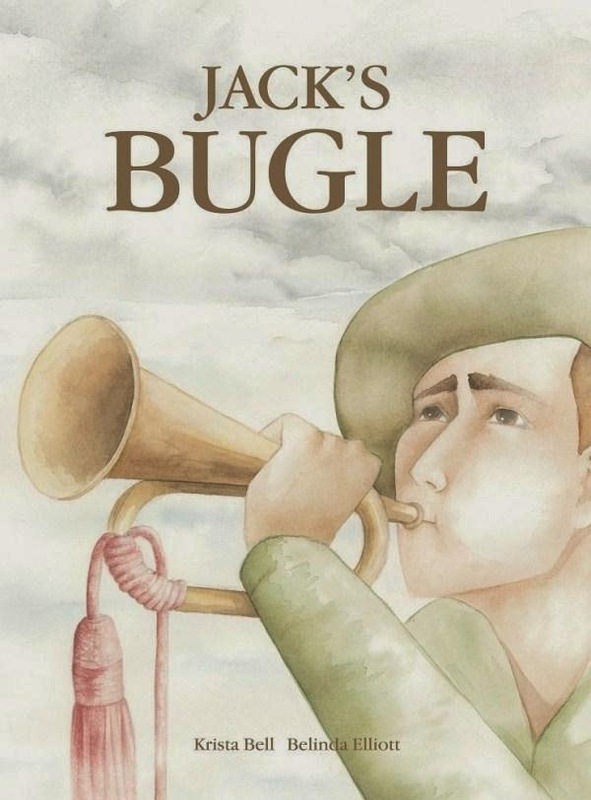 Many years later, Jack's bugle is found by another Jack, Jack Pettigrew, in an op shop. Like the first Jack, this Jack has a natural talent for the instrument, reminding his mother of the story of his great-uncle, a bugler who went to war and died at Gallipoli — a man named Aidan Jackson. While this is a picture book for older readers, both in terms of language and subject matter, it's an excellent entry into learning more about World War I and Gallipoli in particular. Belinda Elliott's watercolour illustrations are the ideal gentle accompaniment.